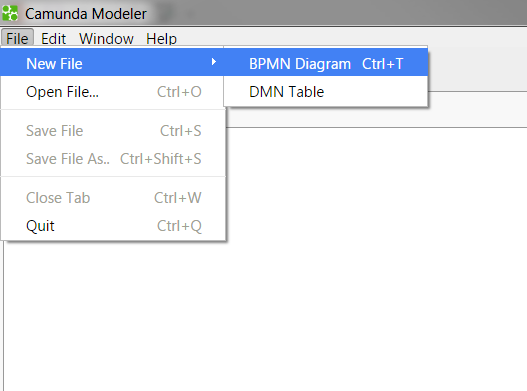 To start modeling, create a new BPMN 2.0 diagram by selecting File / New File / BPMN Diagram in the top-level menu. 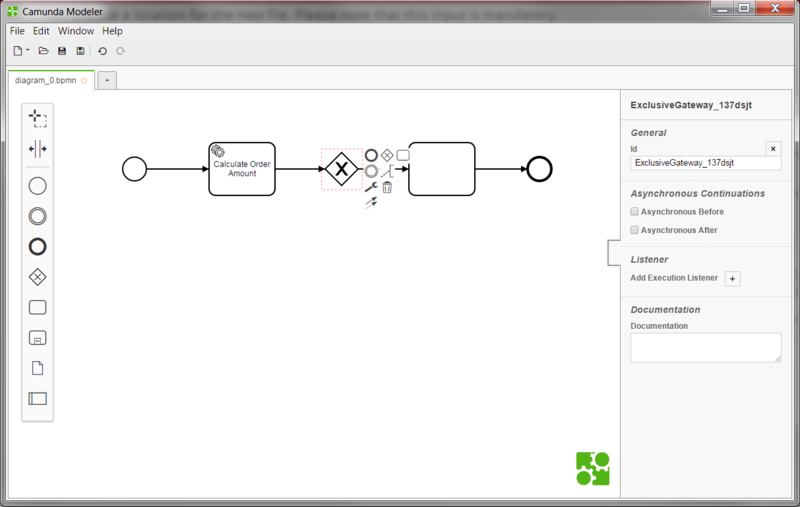 Now you can start to create a BPMN 2.0 model. Add the desired elements from the palette on the left hand side by dragging and dropping them onto the diagram canvas. Alternatively, you can add new elements by using the context menu that appears when you select an element in the diagram. Using the wrench icon in the context menu, you can change the type of an element in place. 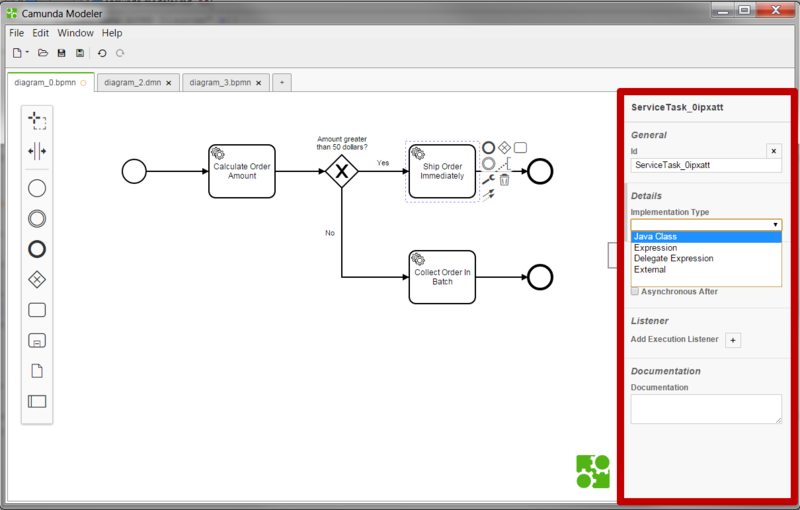 The demo above shows how to create more BPMN 2.0 elements like lanes, task types and event definitions. 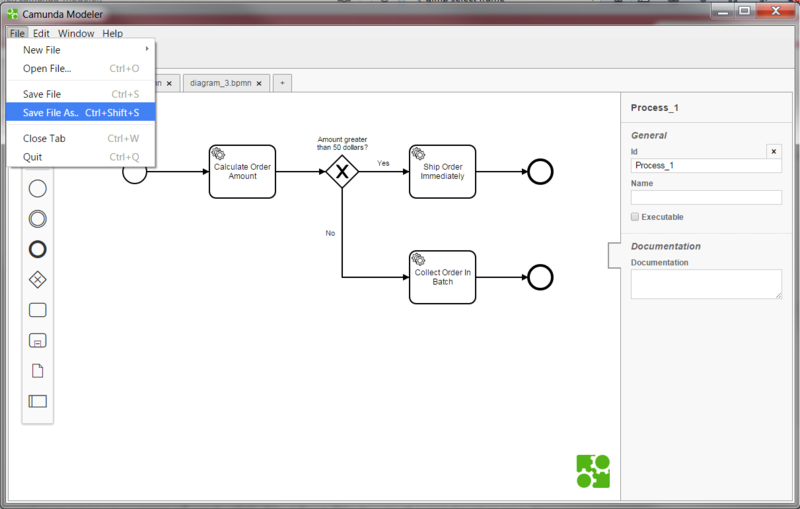 The Camunda Modeler covers all BPMN 2.0 elements for modeling processes and collaborations. In the properties panel on the right hand side, you can view and edit attributes that apply to the currently selected element. The panel can be hidden and restored by clicking the tab on its left border. To save your state of work, click File / Save File As… in the top-level menu. 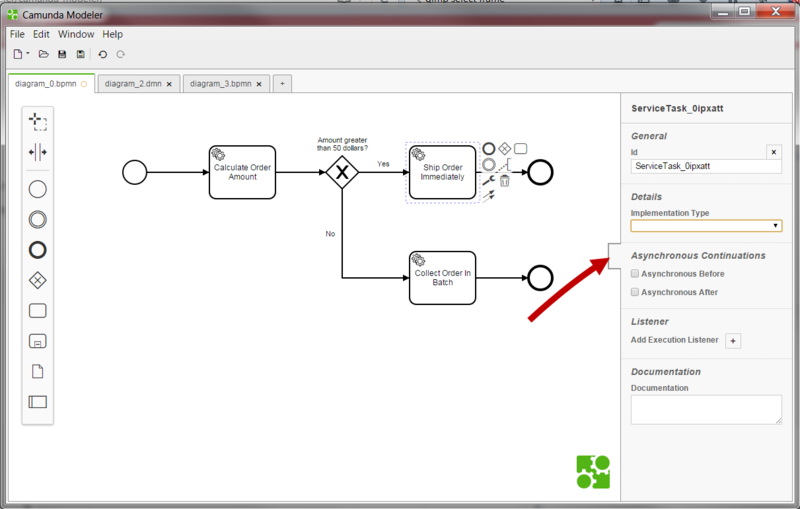 Then select a location on your file system to store the diagram in the BPMN 2.0 XML format. You can load that file again by clicking File / Open File….